After the war, Major Winters led a quiet and peaceful life on his farm in Fredericksburg and in his home in Hershey, Pennsylvania until Band of Brothers — the book as well as the TV series — put him into the international spotlight. He was a true WWII hero who was never comfortable being called one. 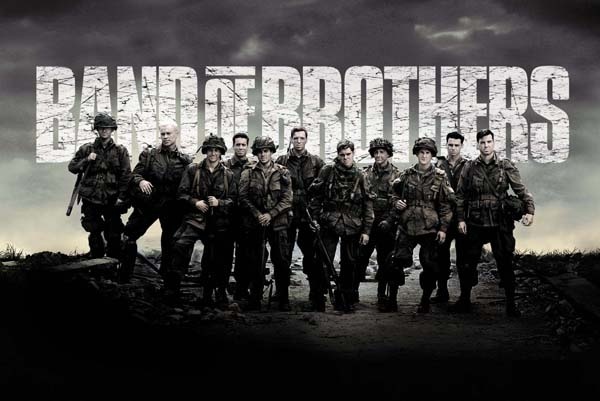 When asked if he was a hero, he liked to answer the way his WWII buddy Mike Ranney did to his grandson: “No, but I served in a company of heroes.” This became a major tagline in Band of Brothers. 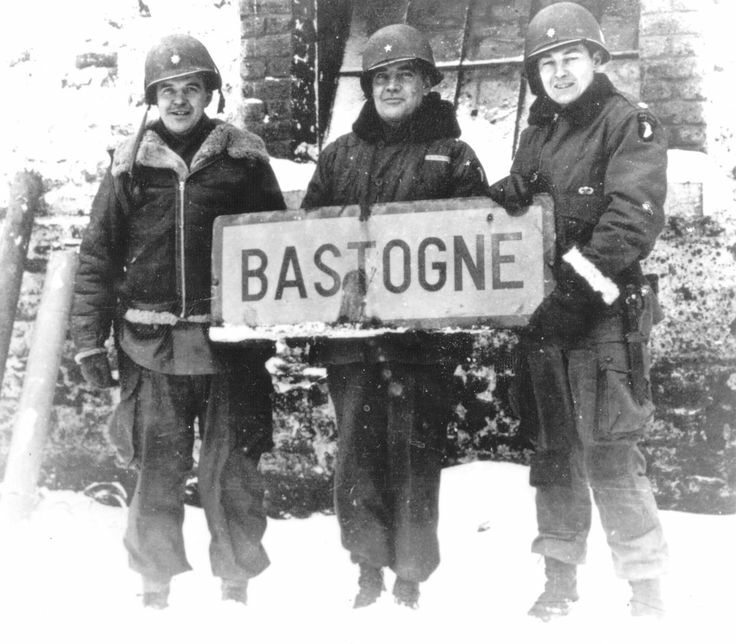 This week marks the 74th anniversary of the Siege at Bastogne, a pivotal confrontation in Battle of the Bulge, which saw the Allied forces assert their most courageous and bloody defense against the last big push by Nazi forces in WWII. The Bastogne episode of Band of Brothers was arguably the most emotionally intense and beautifully filmed of the series. It was like watching a dream sequence through a filter of constant snow, a bitter cold that you could almost feel in your bones as you’re watching. Like an opera of bodies, bent over, running for cover, crouching near trees, or frozen solid to the ground. You could watch all the action without sound and still feel it viscerally. Did anyone see the new Star Wars this weekend? The sight of the salt planet with the blood red soil under the thin layer of salt brought immediately to this viewer’s mind the red against white of the smoke grenades the soldiers in Band of Brothers set off to obscure their positions from the Germans. Such a visually poignant and memorable cinematic effect.